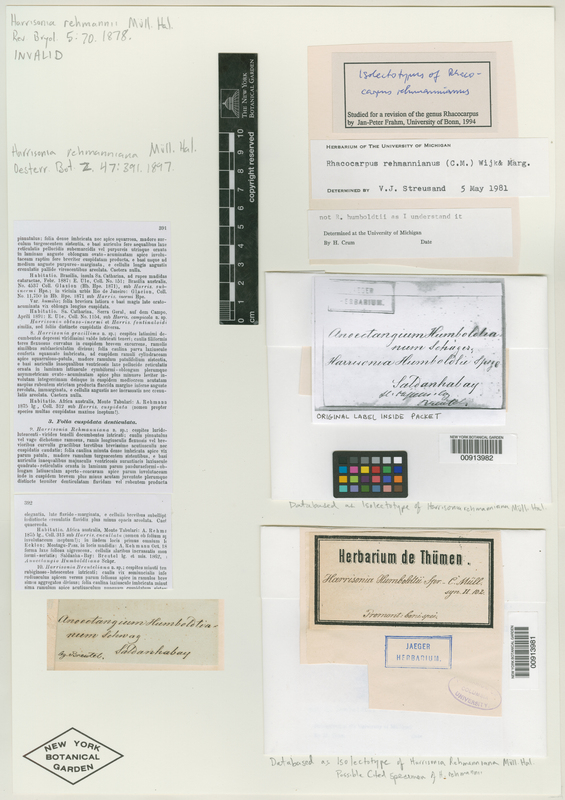 ID Remarks: There are two labels with this specimen, neither has the determination H. rehmanniana. 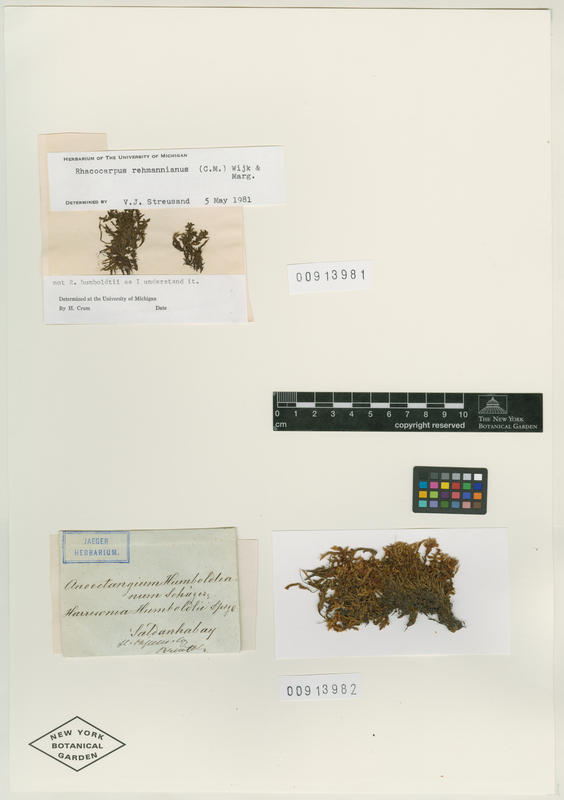 herbarium de Thümen label has det, "Harrisonia Humboltii Spr.- C. Müll. syn. II.102. Fromont: bonispei.[?]". Second label with no label header reads, "Anoectangium Humboltianum Schwag. Saldanhabay leg. Breutel." H. Crum annotation, MICH, reads, "not R. humboldtii as I understand it." Collector: J. C. Breutel s.n.